Engraving of James Monroe, 1835. 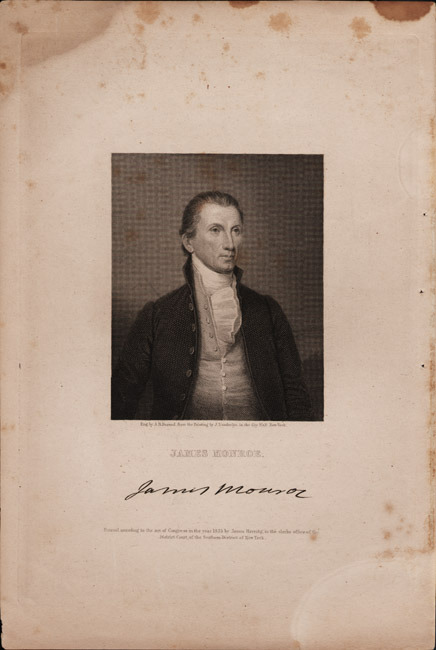 James Monroe was president of the United States during the University's formative years and did not initially play as large a role as his colleagues. He left the presidency in 1824 and continued on the Board of Visitors until his death on July 4, 1831, five years to the day after Jefferson's. 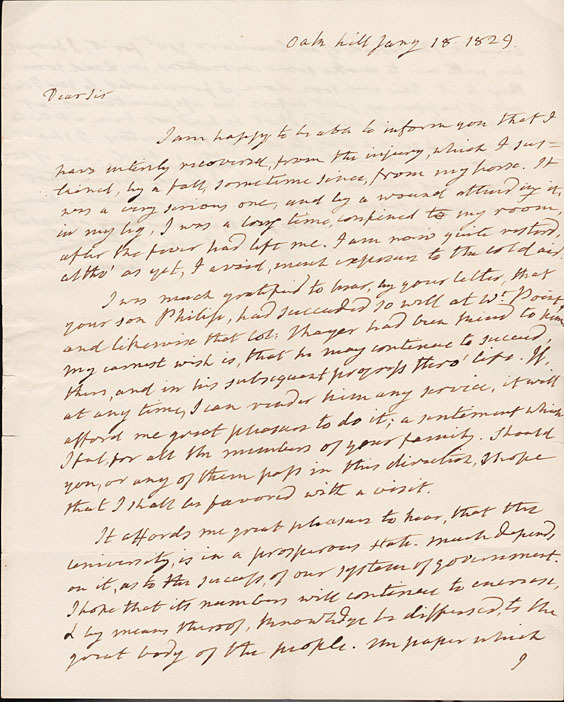 Autograph letter, signed, from James Monroe to John Hartwell Cocke, 18 January 1829. In 1829, with health and fortunes declining, he wrote to Cocke discussing the government of the University and noted, "It affords me great pleasure to hear, that the university, is in a prosperous state....I hope that its numbers will continue to increase, & by means thereof, knowledge be dispensed, to the great body of the people."